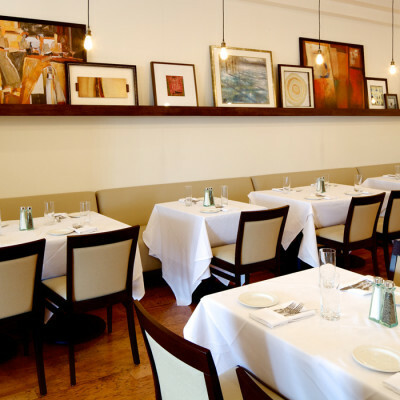 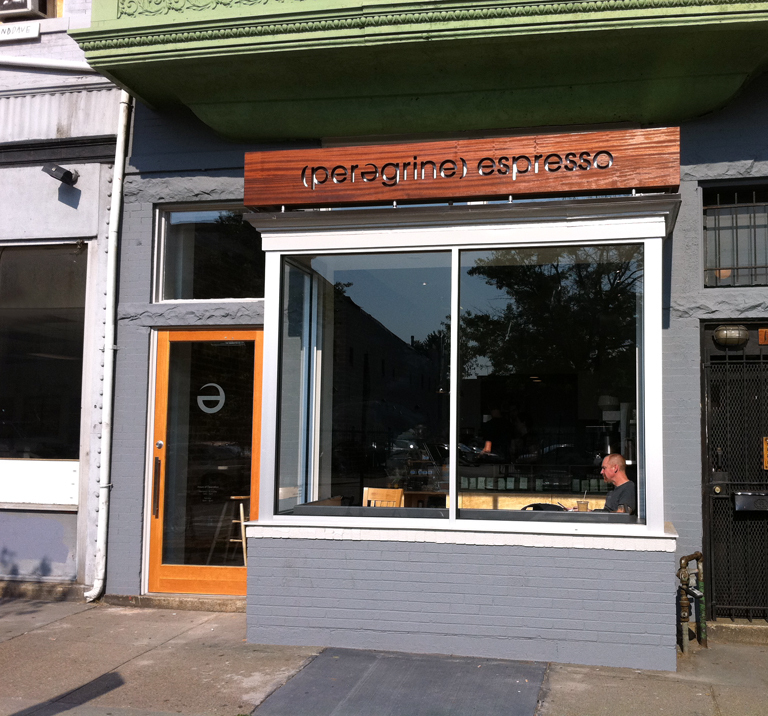 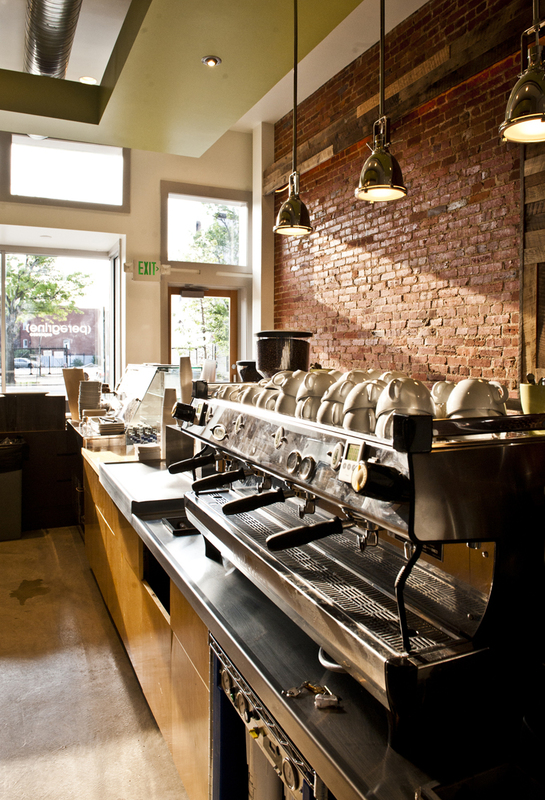 Peregrine Espresso – 14th St. 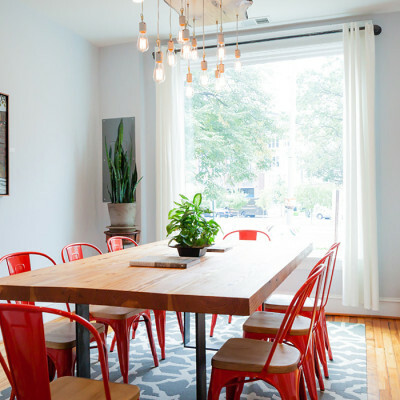 When the owners of Peregrine decided to open a second location, they tasked us with the goal of designing their new space by adapting it to appropriately fit its new neighborhood. 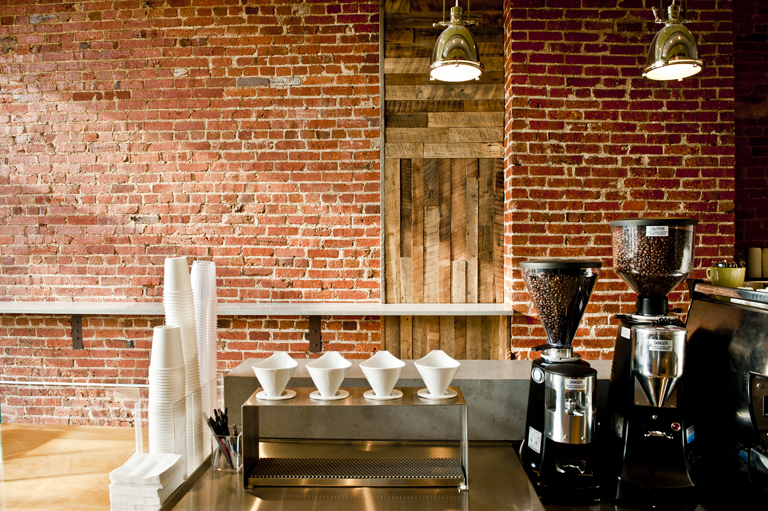 Our concept was to create a cousin of the first shop, instead of a clone.We exposed the original brick interior walls, added reclaimed wood, and laid a new cement floor. 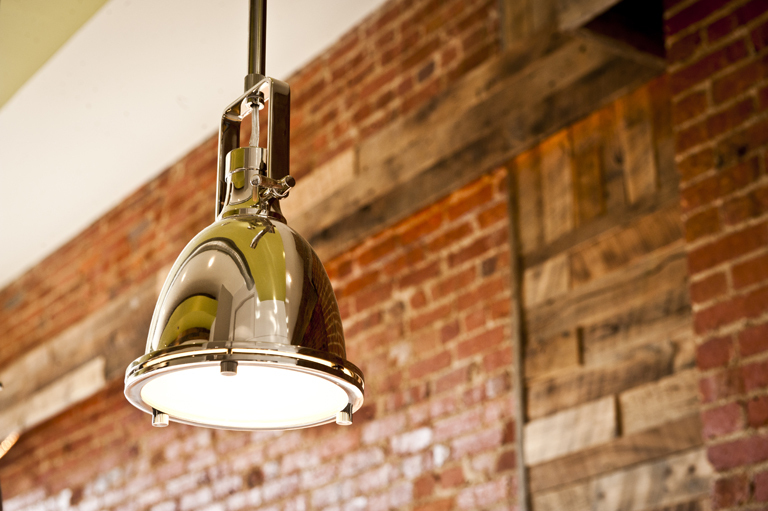 We used the same light fixtures from the first shop, and added a green drop ceiling as a nod to the Eastern Market location. 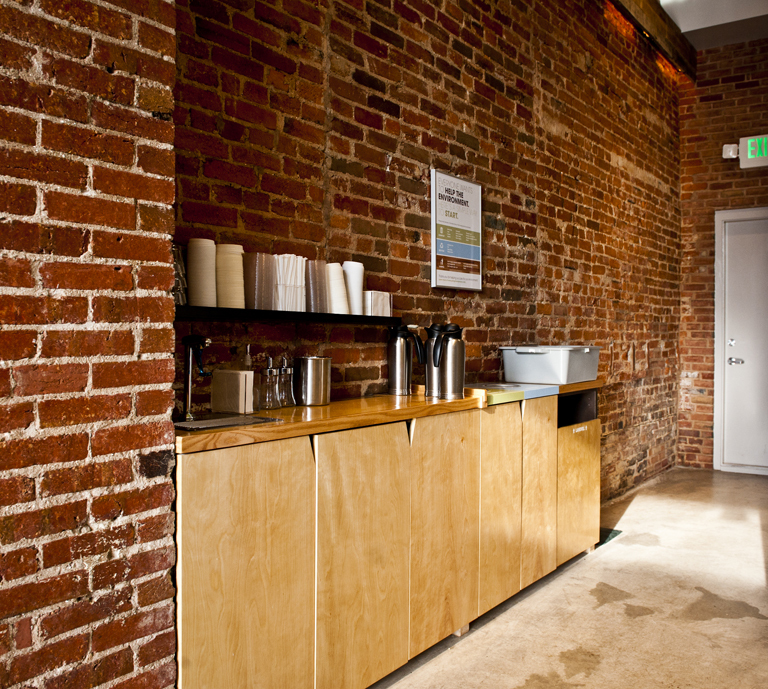 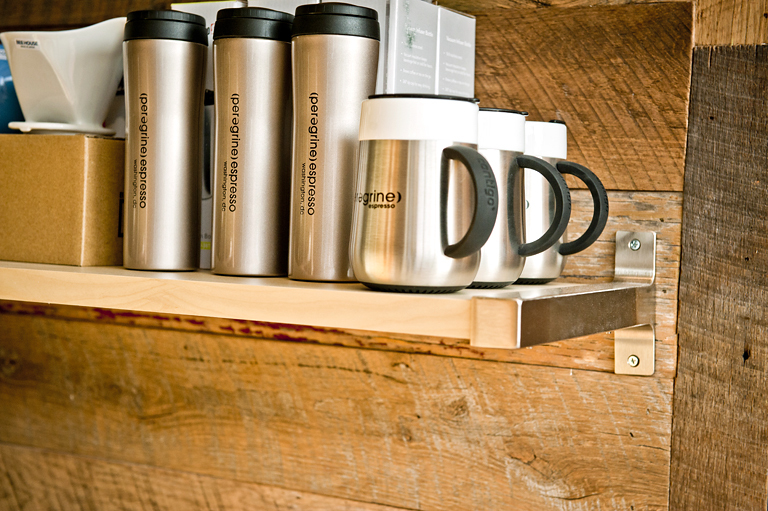 The coffee bar, merchandise shelves and compost station were custom designed to fit the necessary supplies and arranged to house appropriate storage for the baristas needs. 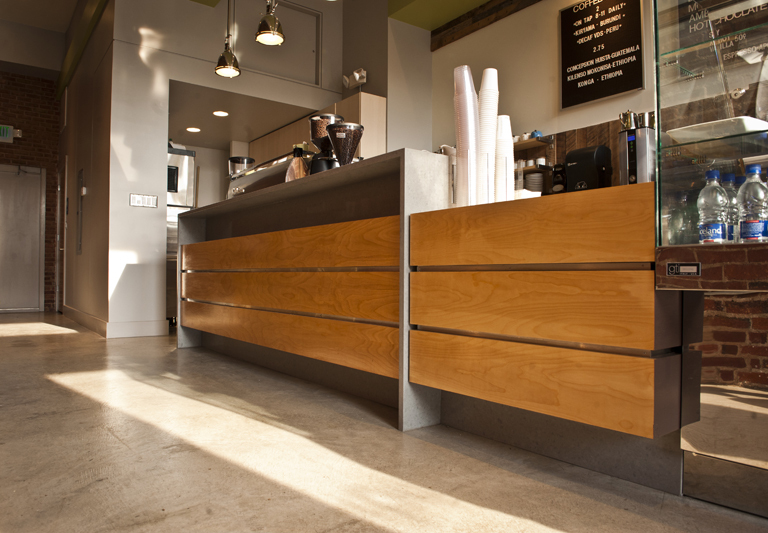 The cabinets and drawers were designed with a slit in them for a handle, because aprons had been getting caught on protruding handles. 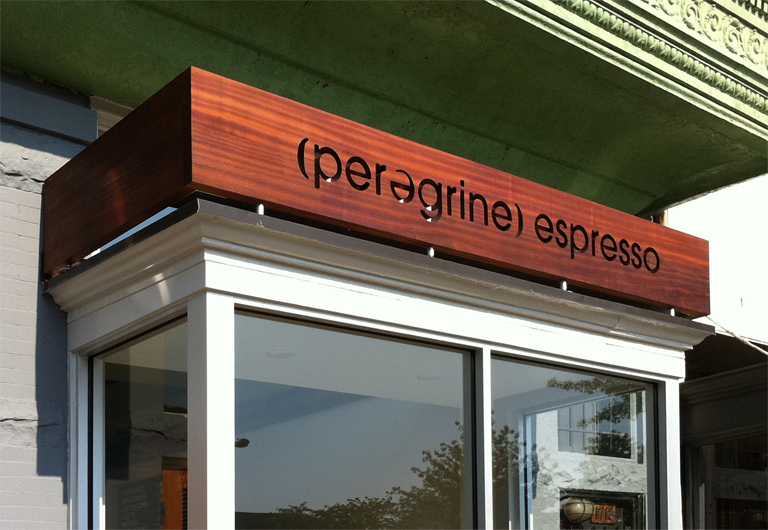 For the exterior, we installed their signature schwa on the door and designed a wrap around teak finished sign, lit from the inside. 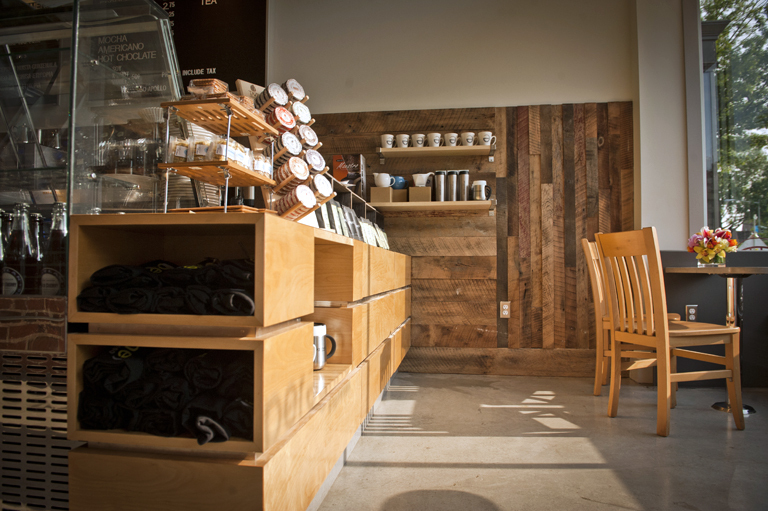 The final product won first place in the Caesarstone/Dwell Design Challenge in the Commercial & Hospitality category. 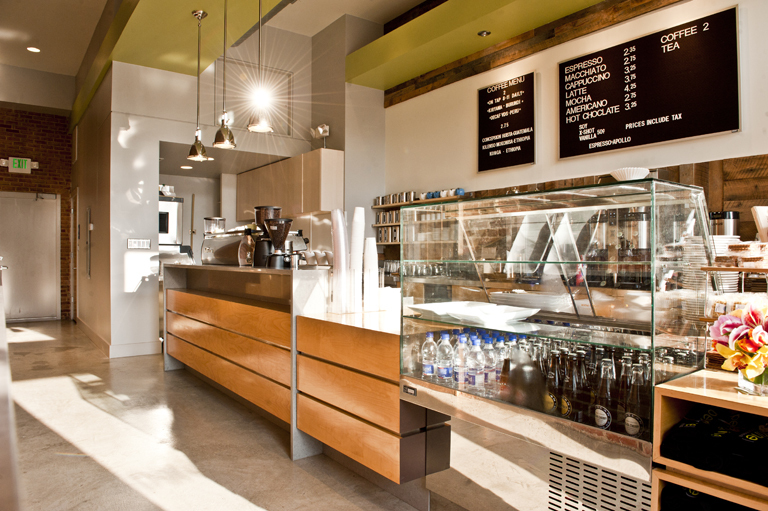 We were also published by Basher Books in their restaurant design collection: Designlicious, Gastronomy by Design.